Dublin beat their own record to claim an eight Leinster crown in a row with a second half rout of Laois in Croke Park this afternoon. Dublin were far from their best in the first half of the game putting in a lackluster performance particularly up front where they hitting nine first half wides, missed a penalty, dropped two short into the keepers arms and spurned a number of other goal opportunities. But it was a different story after the break as they found their shooting boots and outscored Laois by 17 points to five in the second period. Although named in the team Dublin captain Stephen Cluxton didn’t start and that gave his replacement Evan Comerford his first senior championship start. Although Laois didn’t provide much of a goal threat today Comerford commanded his area with authority and his distribution was spot on throughout. Dublin started brightly and seconds after the start Brian Fenton raced through on goal, he picked out Con O’Callaghan in space, but the Cuala man was denied a goal by the outstretched leg of Laois keeper Graham Brody. He could do little though moments later when Ciarán Kilkenny hit a fine finish to the net after an excellent pass to pick him out by Eric Lowndes. Another goal chance fell for O’Callaghan soon after, with Brody again coming to the rescue. Although Dublin where carving opportunities they weren’t taking them and that pattern continued in the 20th minute when another goal opportunity was spurned from the penalty spot for a foul on Niall Scully and Paul Mannion hit his effort wide of the left hand post. Three scores then followed from Rock, two from frees, while at the other end, Laois got a sniff at goal late in the first half but Alan Farrell blasted over the bar and the half ended with Dublin tagging on three more scores to stretch their lead out to six points from Fenton, O’Callaghan and Paddy Andrews. Dublin upped the tempo in the second half and points from O’Callaghan, Andrews and two Dean Rock frees pushed Jim Gavin’s sides lead out to nine points with just a single Laois reply coming from the boot of Kieran Lillis. clipped over a point for Laois from the Hogan Stand side. Donal Kingston brought his tally to 0-04 with a free but Dublin back on the attack and substitute Jack McCaffrey tore through the Laois defence but his shot on goal was hit straight at Laois keeper Brody who did well to parry the ball away. Dublin were now relentless and hit six unanswered from Rock, another second half substitute Cormac Costello with two, two from Kilkenny and one from Mannion. 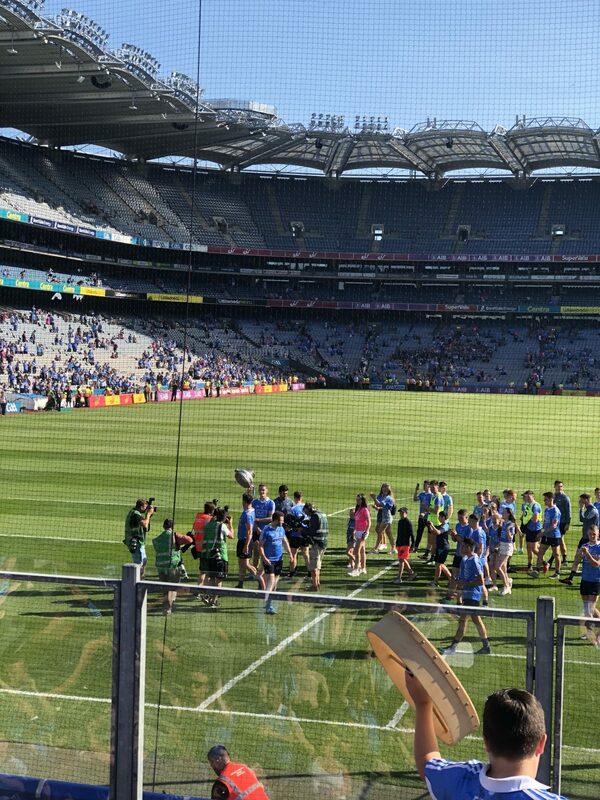 Laois were visibly wilting under the severe pressure and steering heat of Croke Park but were thrown a lifeline of sorts when Dublin’s John Small was red carded just seven minutes after being introduced for a strike to the face of Evan O’Carroll. But the dismissal did little to stop Dublin’s forward momentum and Rock, Scully and Kilkenny tagged in further points to stretch the lead out to 17 points. With the game well over as a contest Laois introduced Gary Walsh and he tagged on points to give the scoreline a little gloss for Laois. 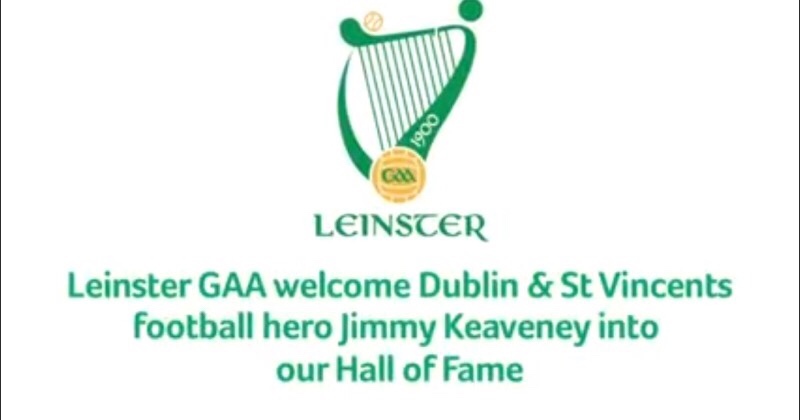 Dublin Team: Evan Comerford; Philip McMahon, Michael Fitzsimons, Eric Lowndes; Brian Howard, James McCarthy, Jonny Cooper; Brain Fenton, Michael Darragh MacAuley; Niall Scully, Con O’Callaghan, Ciaran Kilkenny; Paul Mannion, Dean Rock, Paddy Andrews. Laois Team: Graham Briody; Darren Strong, Mark Timmons, Gareth Dillon; Trevor Collins, Colm Begley, Finbarr Crowley; John O’Loughlin (vc), Keiran Lillis; Alan Farrell, Paul Kingston, Niall Donoher; Evan O’Carroll, Donal Kingston, Damien O’Connor.